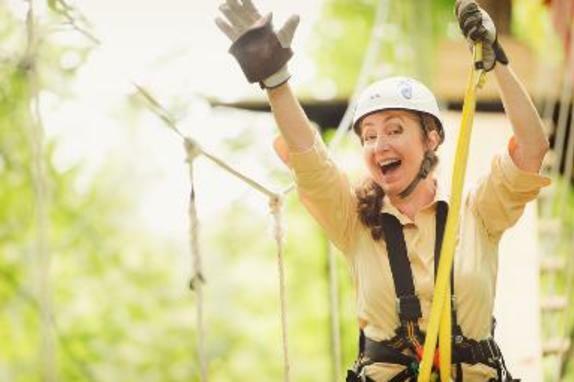 The Tree Top Zip Tour by Empower, located at Salamander Resort & Spa, is an exhilarating adventure through the Virginia countryside! The zip line course is comprised of a series of suspended bridges and zip lines that vary in length from 90 to 670 feet. While safely tethered to an advanced pulley system, participants glide from tree top to tree top on 5 zip lines and 2 sky bridges. The course spans 20 acres in the middle of Northern Virginia's horse and wine country!